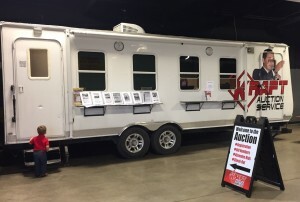 In preparation for the sale, you can look at our Auction Calendar to see a list and photos of the items being sold that day. The auction listing will also tell you if items at that day’s sale are up for online bidding. Often, the listing is just a sample of the items available at the sale, so you will be sure to find some surprises at the sale! The listing will also let you know if there is a preview or open house for the sale. We will always be at the sale at least an hour before the auction start time. You are welcome to come early and check-out items. In fact, this is encouraged because all items are sold “as is where as” which means the buyer has the obligation to investigate the condition of the items being sold. 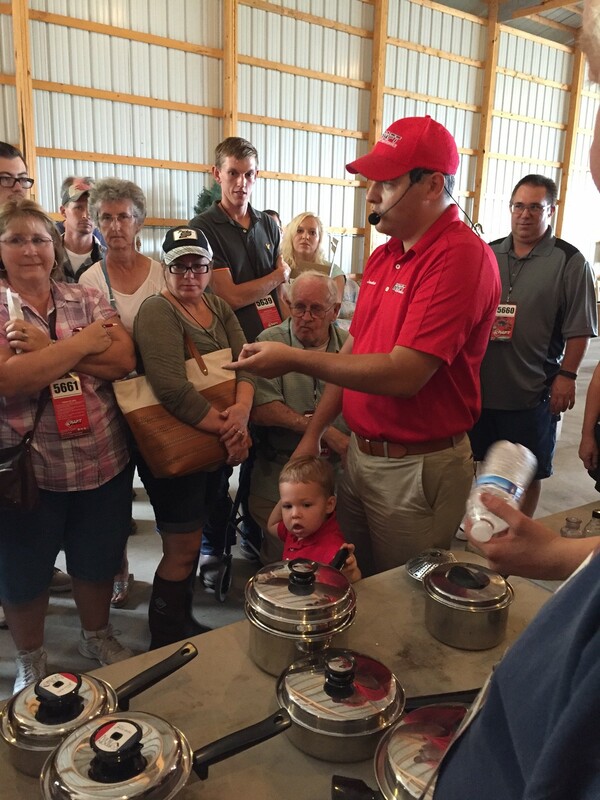 The auctioneer will disclose as much information as possible, but they often don’t know every detail about each item. 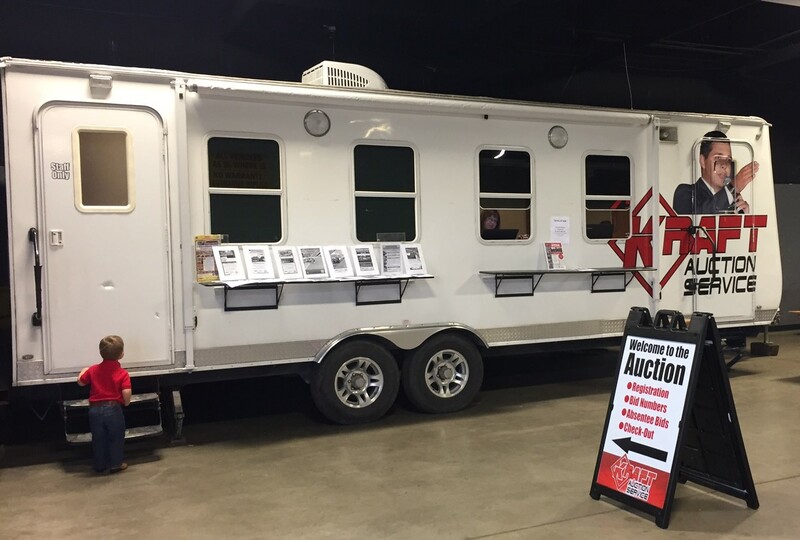 Before you can bid, you must register at the auction trailer. To register, you need a valid ID with your correct address. The friendly ladies in the trailer will take all your information and give you a bidder number. Please keep track of your number; it is how we know what items you purchased. We do charge Indiana Sales Tax at many of our sales. If you are tax exempt, bring your tax id number and inform the staff when you register. When the auctioneer gets to an item you want to purchase, just raise the bidder card you received when you registered. The auctioneer will recognize your bid and then move onto the next increment. Generally, the auctioneer moves in increments of $1, $5, $10, and up depending on the price of the item. Sometimes the auctioneer will have an assistant called a “ring man” who will be signaling bids. If the ring man sees your bid, he will signal it to the auctioneer. Remember, the auctioneer moves fast, so bid quick! If the auctioneer says sold and you have one the item, you now own it. That means it is your responsibility! We recommend you bring along a box in which you can keep your items so they don’t get stolen. We will write your bidder number on larger items to identify they are yours. 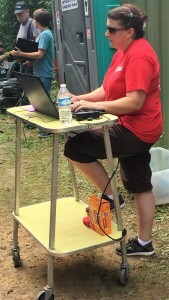 You will notice there is a clerk recording the items sold as the auctioneer is selling. 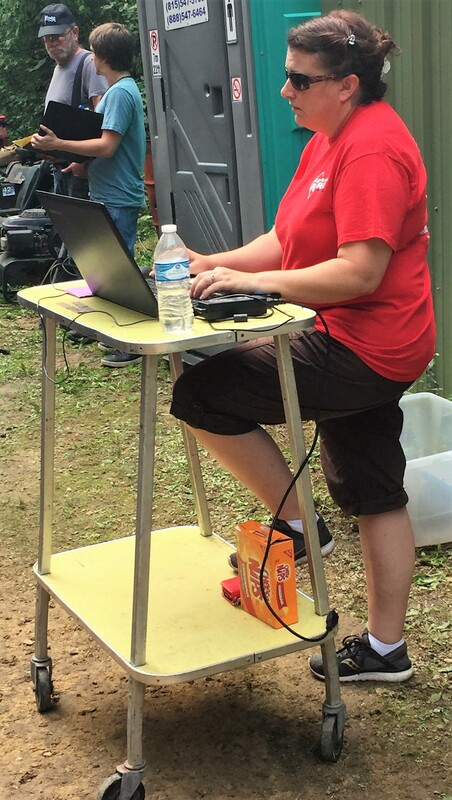 That information is given to the ladies in the auction trailer who will add up all your purchases. Once you have bought everything you want, head over to the trailer (the same place you registered) to check out. You can pay by cash, check, Visa or Master Card. We do charge a 3% buyers premium on credit card purchases. What will be sold at the auction? 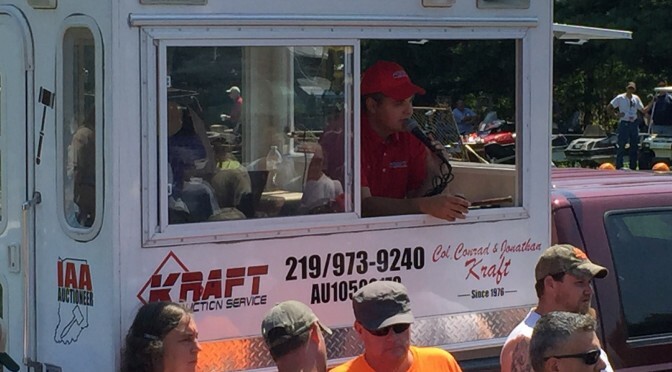 At Kraft Auction Services, we sell many different times of items. Items may include antiques, new merchandise, collectibles, tools, household goods, historical items, vehicles, heavy equipment, farm equipment, real estate and much much more. Check our Auction Calendar for more detailed lists for each sale! How are Kraft Auctions different than eBay? Kraft Auction Service is different from eBay in several different ways. 1) Individuals do not post auctions to our site – we control all the products that we sell as an agent for our selling clients. 2) If auctions are online, the end date and time is actually the beginning of our live auction event. So if a live auction starts on Saturday at 9:00 a.m. CST, that is when the first lot in that auction will be offered for bid to the live bidder competing against the Internet bidder until the last bid for the item is over and then the item is sold. How do I sell items at the auction? Are there any guarantees on the items sold? Will I get a title if a buy a car, trailer, boat, truck or other titled item? Yes, you will get a title for any titled item. If you pay cash or credit card, we will give you your title the day of the sale. If you pay by check, we will send the title to you by registered mail. There is a $15 fee for sending titles by registered mail. If there are any problems related to the title, the auctioneer will clearly state it before the sale of the item. How can I pay for the items I buy? You can pay for your items by check, cash, Visa, MasterCard, American Express or Discover. There is a 3% fee for credit card charges. Except for real estate sales, you must pay for your items in full on the day of the sales. Real estate sales require a non-refundable down payment; check the real estate listing for exact terms. What if I can’t come to the sale? What do I do if I am the executor of an estate and don’t know what to do with the house and property?